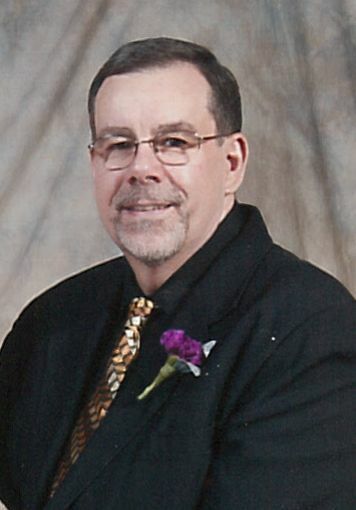 Leonard Thomas Kinn, Jr., 57, of Alpena passed away Tuesday, October 23, 2018 at his home. Leonard was born March 6, 1961, in Detroit to Leonard and Arlene (Kalemkiewicz) Kinn. On May 25, 1996, he married Nancy Cordes. Leonard was a member of Immanuel Lutheran Church and Friends Together. He loved sports and art. Surviving are his wife, Nancy; two children, Daniel Kinn, Tiffany Kinn (fiancé Hunter Linseman); mother, Arlene Kinn; four siblings, Deborah (Joe) Betoski, Kenneth (Rebecca) Kinn, Kelly Mowery, Kristine (Jeff) Jones; eight exchange students, Pakaporn “Jan” Praesomboom, Laust Merrild, Wen “Terry” Jiahao, Suchaya “Nook” Sunantakarnkij, Daniel Kasper, Lukas Belovsky, Sondre Huseby, and Steffi Kehrer. Mr. Kinn was preceded in death by his father, Leonard Kinn. Visitation will take place on Friday at the Bannan Funeral Home from 2-8 p.m. with a prayer service at 7:45 p.m. Visitation will continue Saturday at Immanuel Lutheran Church from 9 a.m. until the funeral service at 10 a.m. with Rev. Joshua Schultz officiating.